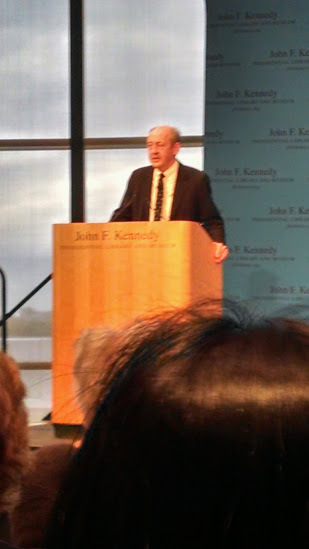 The JFK Library and Museum runs fabulous and fascinating evening events, and last month I was thrilled to go hear Billy Collins (former US Poet Laureate, a title he enjoys saying, apparently, and who can blame him?) read some of his work and have a conversation about poetry and writing and reading of same. And, of course, the view of the city and harbor out the windows behind the speaker was as stunning as always. At the end of the evening, there was a little time for Q&A. I’m not a big fan of getting up to ask questions in front of a microphone (I don’t mind public speaking, but public interrogation is somehow harder!) Since Collins was signing books after, however, I did get to ask him about one of his comments from earlier in the evening. 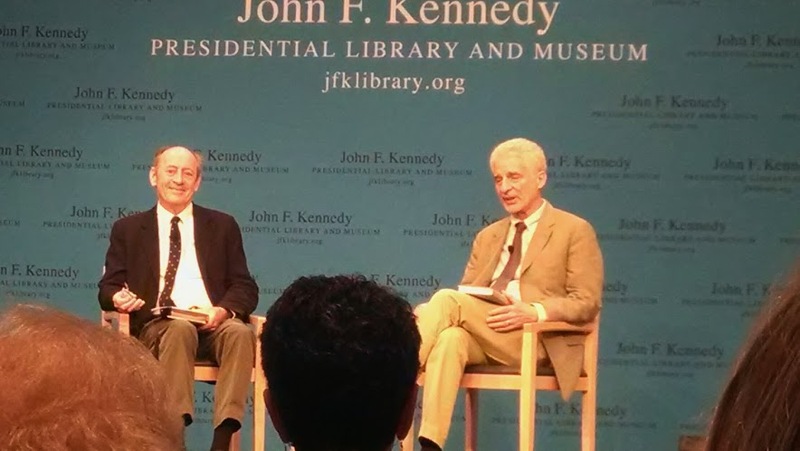 He had stated that the majority of poems (not to mention poetry collections), he doesn’t even read all the way through, so I asked which poets, if any, had writing which he did read all the way to the end. That’s a name I recognized, though I couldn’t put words to the name, so I did a little research and reading, and now know enough to put him on the list of poets’ names to scan for when I’m in a bookstore. This entry was tagged authors I admire, billy collins, charles simic, humor, jfk library and museum, poetry, reading, robert frost. Bookmark the permalink.